“A gift … for me?” Ruby asked, setting her cup down and clapping her hands with enthusiasm. “Yes, of course, it’s for you,” Grams said, laughing at her granddaughter’s buoyant gesture. 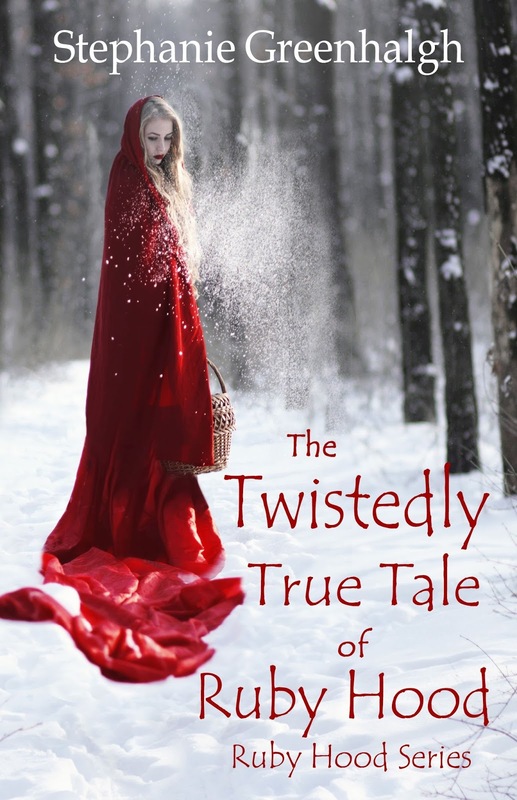 Then, she nodded at a large, white box tied with a beautiful red ribbon sitting on the chair. Ruby hurried over to the box, pulled the bow and removed the top of the box. “Ooooohhhhh, Grams! It’s the most gorgeous thing I’ve ever seen!” Ruby exclaimed as she rubbed the soft velvety fabric against her cheek and cooed. She held it up and examined it more thoroughly. When she couldn’t stand it any longer, she slipped her arms through the large, billowing sleeves. “Oh, my goodness! It’s so luxurious,” she murmured as she pulled the hooded cloak around her. Golden flecks were embedded in the delicate floral pattern of the crimson garment. It was lined with honey-colored satin that felt soft against her skin. When she fastened the three golden buttons down the front, it wrapped perfectly around her body, accentuating her slim waist. She twirled and giggled in true teenage girl fashion and then hugged Grams. “Thank you! Thank you! Thank you! It’s perfect and exactly what I needed for the dance tonight!” Ruby said, then turned and ran up the stairs to check out the complete ensemble in her full length mirror. She jumped with glee when she saw herself and ran back down the stairs to hug her grandmother again.